18 kt yellow gold. 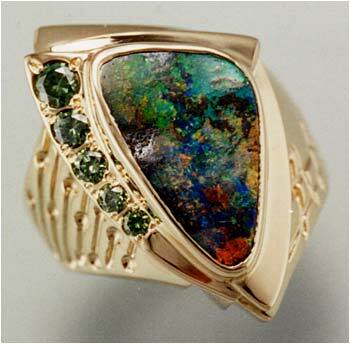 Boulder opal – 5.07 ct.
Green diamonds – 5 stones for tw. .33 ct.